GISHWHES started on Saturday, and this is what I forewarned you all about…the craziness that would ensue. I apologize now for my absence, and will be back and in the swing of things come next Monday. If you’re on Twitter, you may have witnessed some of the randomness that occurs during this time aka “the hunt”. Keep an eye out. I’m on Team Falkor, that’s him on the left, from the movie The Neverending Story. If you’d like to help, please follow @FishinOrlando to help our team earn some points. Thank you in advance! When it is safe to post images, I will, to show you what creative genius lies in all of us. 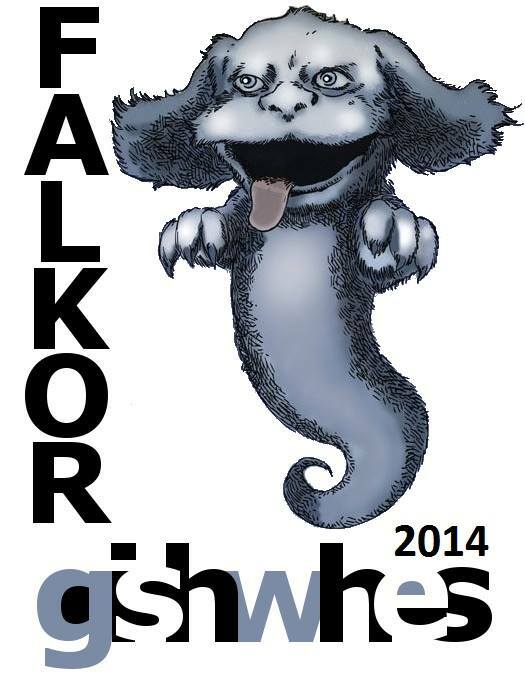 If you’re interested in joining next year, visit the GISHWHES site and take a look around. It is a lot of fun. It’s challenging. And completely worth the effort. You’ll be amazed at what you can accomplish in such a short time. Have a wonderful week everyone! Keep up your hard work and “see” you next week!